Aulactinia vancouverensis is a medium-sized rose-coloured species abundant near the northern end of Vancouver Island. We describe it as a new species (see reference to our publication below). 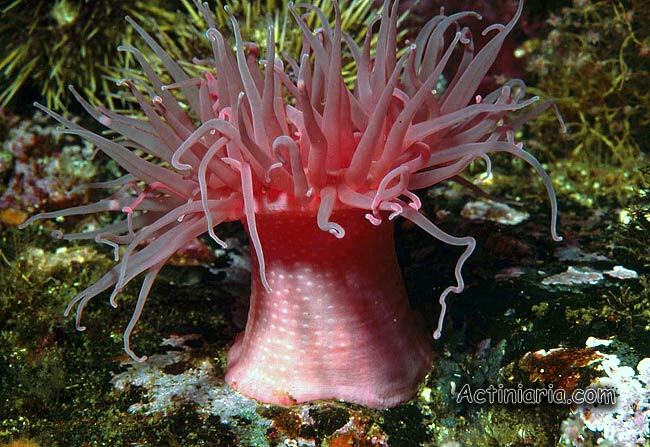 The species is usually found attached to small rocks or bedrock with an upright column. Some specimens are found in crevices and partly covered by attached gravel particles, and sometimes the lower part of column may be buried in shell hash. This species is not widespread along the British Columbia coast. 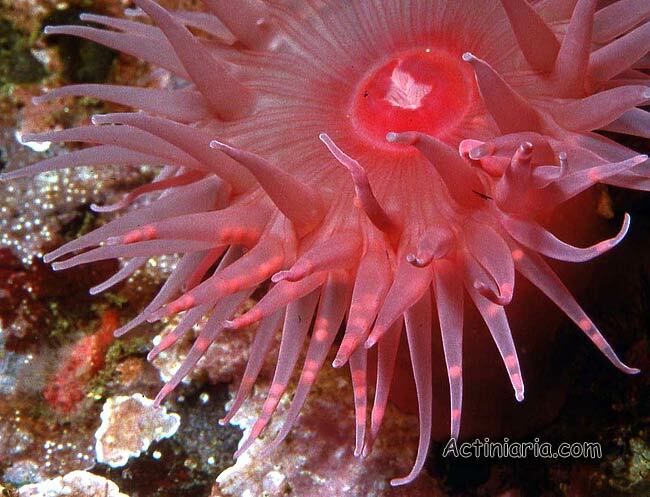 It is most abundant in shallow water in Weynton Passage at the north end of Johnstone Strait, which lies between Vancouver Island and the mainland of British Columbia. It has not been observed within the Strait of Georgia. Typically the species is found in shallow water at depths not exceeding 5m, but occasional specimens were recorded to depths of 25m. Sanamyan N, K. Sanamyan, N. McDaniel, 2013. 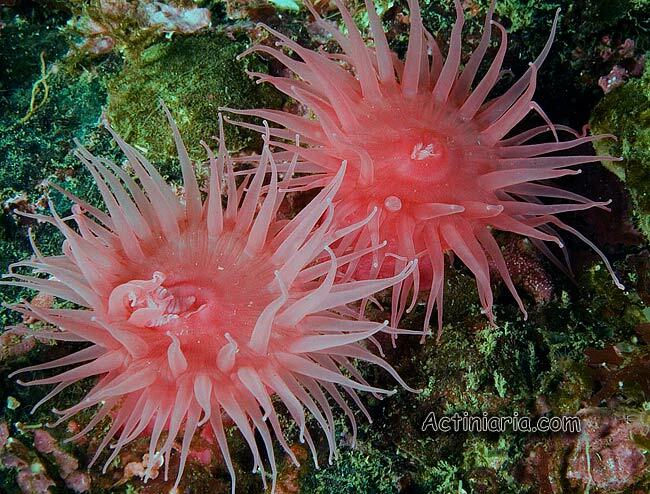 Two new shallow water sea anemones of the family Actiniidae (Cnidaria: Anthozoa: Actiniaria) from British Columbia (NE Pacific).- Invertebrate Zoology, 2013, 10(2): 199-216.